When I read the news these days I feel like the world is coming apart at the seams. Will and I were in Chicago last week when we heard the news of one devastating shooting, and then another. And another. The horrific headlines just kept coming. We were in Chicago for a conference, and—in a completely unrelated decision, or so I thought—we decided to bail on a session and hit the Art Institute. We used to go all the time, but I hadn’t been in so long I hadn’t even seen the new modern wing—and it’s been open since way back in 2009. There happened to be a special exhibit going, featuring American artists in the 1930s, the standouts being O’Keefe, Wood, and Hopper. Will and I made a beeline for the special exhibit rooms, talking on the way about the headlines: Do you feel like we’ve all lost our ever-loving minds? And then we stepped into the first room. What was happening in the United States in the 1930s? The economy tanked; the soil was barren. People were broke, starving. The Great War was still a recent memory. Feelings of unease were rising along with the burgeoning political unrest in Europe. The exhibit was titled “After the Fall,” the nation’s fall from grace. We saw depictions of war, and racial lynchings, and sadly deserted city streets that had been bustling with life a decade before. Some artists responded to the news of the day with absurdist art; some starkly portrayed reality as they saw it. 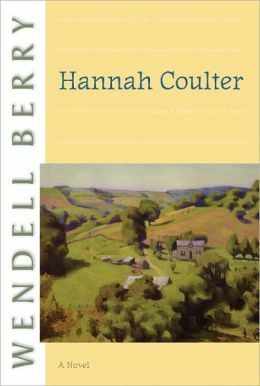 Others chose an escapist route, depicting fertile fields painted purely from imagination because it had barely rained in years. Halfway through the poignant collection, it dawned on me that those rooms were an oddly reassuring place to be when you feel like the world is falling apart. In those works artists wrestled with the most horrible news of the day—of the decade—and seeing their work nearly a century later made me feel like while today’s news is so new, and so horrible, civilization has been dealing with the worst for a long, long time. Some paintings were calls to action. Some were precise depictions of reality as it stood; others were abstract, aimed for the heart. Some were escapist. Some were hopeful, highlighting the glimmers of good in the worst situations. This list is in the same spirit, and with the added bonus that it’s easier to visit a library than an art museum. Some of these works are precise depictions of realities as it stands; some are aimed for the heart. Some are calls to action. Some are hopeful, inspiring, redemptive—highlighting the glimmers of good in desperate, devastating situations. Each title brings something different to the table, but they’re all good choices for your stack when you feel like it’s all coming apart. I can’t wait to hear what you’re reading right now, and what you’d choose to add to this list. What kind of books do you turn to when you feel like the world is falling apart? What would YOU add to the list? The Hiding Place is one of the best books i have ever read!! I highly recommend it to everyone! As a matter of fact, i just recommended it to two of my cousins!! 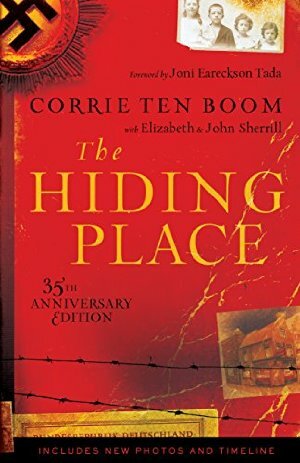 Corrie ten Boom has a number of books full of love and inspiration! This is one of the few books we read in elementary school that I remember vividly. 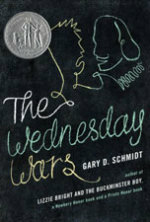 One of the best WWII books out there in my opinion. The Hiding Place is one of my Top Ten Favorite Books of All Time! 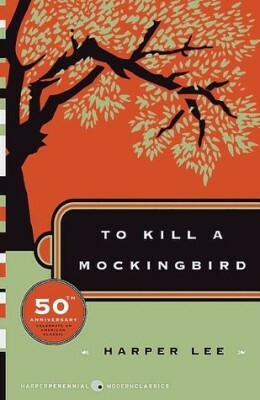 I didn’t read it until my kids were almost grown, but it’s had a HUGE impact on me. They’ve all read it too. Great List! I have found myself feeling the same way lately. I honestly don’t know what to do without some good books to retreat into when it feels like the world has gone crazy. I have been dithering on whether to read Everyone Brave is Forgiven, if the beautiful title is anything to go by, I’ll enjoy it. So, I think I’m going to give it a try! I’ve read all of these except 2 and agree that they are wonderful books. Just read Chris Cleave and loved that book. When I started I wasn’t sure I wanted to read another WWII book but this is unique. Thanks for recommending. Thanks for putting together this list. It’s truly a gift to your readers. I picked up Stitches at the library recently. I’m moving it to pile of books I want to read soon. 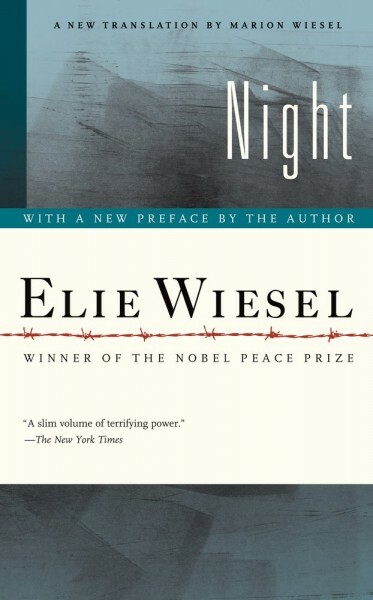 I also picked up Night (which I’ve never read) for a book club I do with two friends through Google Chat. So many personal faves on your list – TKAM, A Tree Grows in Brooklyn, Anne of Green Gables, The Hiding place – plus new titles to explore. Thank you! LOTR and Harry Potter are my go-to comfort books. I’m currently listening to the audio version of The Nightingale and am finding it surprisingly enjoyable. Unfortunately, I read many negative reviews of the book but decided to pick it up anyway. I’m glad I did. We were in Chicago the day the Dallas shootings happened and went through the same exhibit at the Art Institute. History continues to repeat itself, it looks a little different but at it’s core it’s the same. Love how you remind us that things have been bad before and we can overcome. A great reminder of the power of art and books to soothe and heal and inspire. I will put the ones I have not read on my TBR shelf. Happy that Anne made the list- as a Canadian that is one of my all time fave books. I’ve read a few of these, and was happy to see my favorite-of-all-time, A Wrinkle in Time, on your list. (Psst – it’s Murry, not Murray.) I’ve read it a number of times, but you reminded me I’ve only read the rest of the Quintet once. Time to put the rest on my TBR list! I would add to the list “The Wingfeather Saga” by Andrew Peterson. These are phenomenal stories! I was going to add that series as well. It is my absolute favorite series that I have read in recent years (maybe ever), largely because of the timeliness of it for me personally. Ahh so many of these books are on my to-read list! 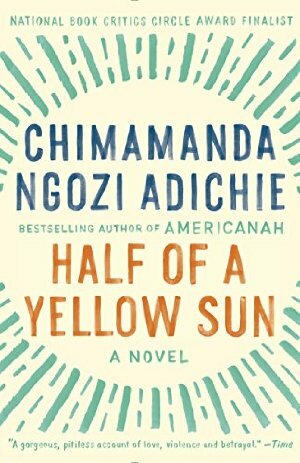 I’m going to buy Half of a Yellow Sun and Between the World and Me. It’s decided. Thanks!! 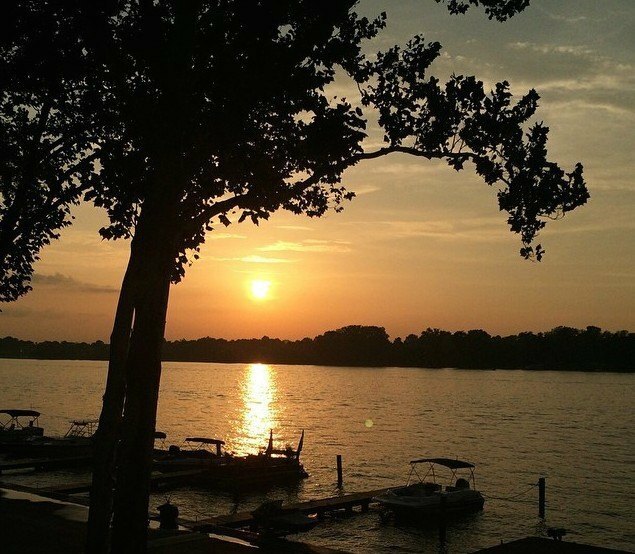 Thanks for the list–I see many old favorites, and a few I’ve never heard of. it sends me running to my library’s online catalog! 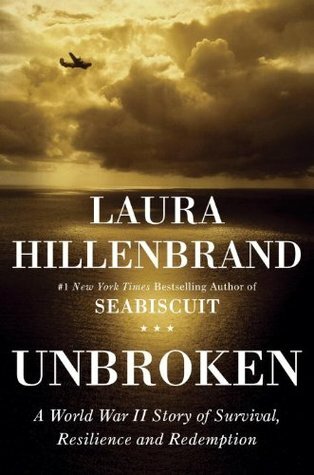 I’m glad you included Unbroken–it was one of the few titles that had me walking around the library, thrusting it into patrons’ hands… I truly believe it’s a book every American should read! 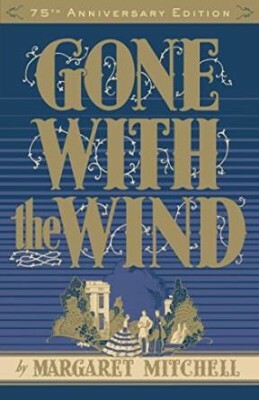 I just started listening to the Harry Potter series (I read them the first time round), and Gone with the Wind is in progress on my kindle. I recently read Everyone Brave is Forgiven, and LOVED IT! I bought Between the World and Me yesterday and can’t wait to get started on it. Thanks for the recommendations!! I also read One Plus One recently by JoJo Moyes and thought it was a nice reminder that life is hard–really hard, sometimes–but you have to just keep doing what you can to make it through, remembering that good things can happen when you least expect it. Great list! A mix of comfort reading and of-the-moment topics – perfect. I’m looking forward to reading “Love Wins” – I haven’t read it yet, but it seems a good choice for when the world goes crazy and we need to remind ourselves that there are good news days, too. A great list, Anne (with an E)! I have read a few of these listed and heartily concur! 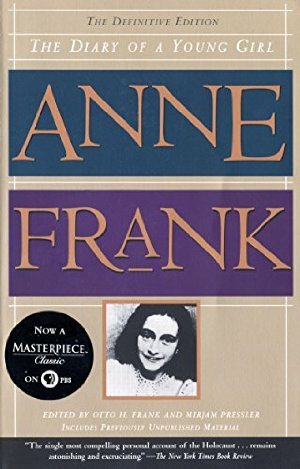 Gone With The Wind, Anne of Green Gables, Diary of Anne Frank, A TREE GROWS IN BROOKLYN (my all time fav), The Hiding Place (ugh, if you ever think you have problems, just read this! ), The Grapes of Wrath! I have a few of these on my TBR list now. My wish is that everyone reads as much as they possibly can! A Tree Grows in Brooklyn is my all-time fav, as well. I try to reread it every summer. Maybe this a little weird, but I have about 6 different copies of this book! I don’t think that’s weird at all! Actually, I am a bit jealous!! ? you could’ve stopped at Anne of Green Gables and A Tree Grows in Brooklyn. Favorites forever and always! As I work through Stephen King’s “11-22-63: A Novel” on audio (only 3 hours left!!!) I have been struck with King’s descriptions of the early 60’s… the racial tension and subtle lack of freedoms for both people of color and women. He covers (briefly) the Cuban Missile Crisis, which I had only learned about in school, but I was struck with how terrified the American people were at the time of high tension during the Cold War. The parallels between 50 years ago and today are striking, and comforting. We have been here before, but since most of us weren’t there we forget, and our grandparents and parents lived to tell the tale. And many things today really are better. In my life, any type of reading is a comfort through any kind of stress, but if you’re looking for a nice contrast between modern times and the 60’s, this is a great book if you don’t mind King’s flare for words and a bit of violence and creepiness. 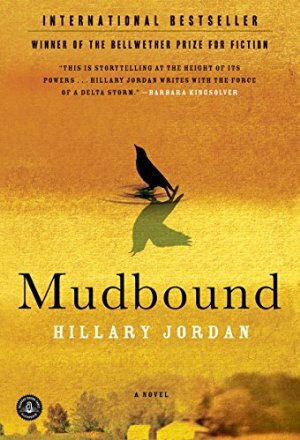 I am currently reading Bury My Heart at Wounded Knee for the 2016 reading challenge, but I can’t ever get through more than a few pages in a sitting. 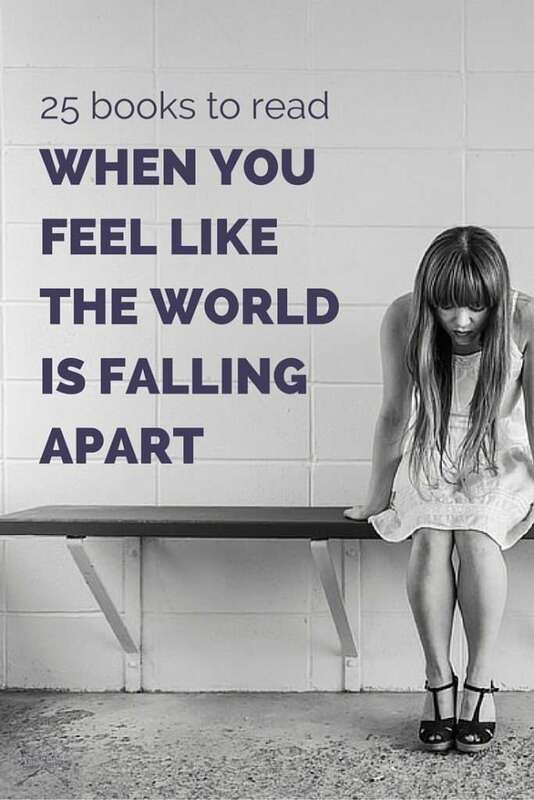 Perhaps it’s because their world was falling apart, and right now the same seems to be true of ours? At any rate, I am about to set it aside for something more hopeful. My friend and I found copies of Barefoot by Elin Hildebrand and are going to start reading it together soon. The summary makes it sound hopeful that things will come out well in the end. I agree! Lighthearted beach romances are good medicine if you are really down in the dumps! Great post and wonderful list of books! So many I have read and enjoyed, and thank you for sharing new titles I can add to my (every growing) TBR list. To add to the list, The Catcher and the Rye, which I just read, is a great book to read in times like these as well. 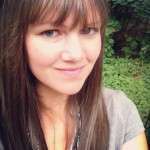 I enjoy your blog so much! These are great ideas – My world was hardly “falling apart” but when I was planning my wedding, I was very stressed out and the only thing I could focus on was Jan Karon’s Mitford series, which I had already read. Re-reading it was very soothing to me. I read the first Mitford book and loved it, and it’s been a few years and what’s kept me from reading the rest is that I don’t know if I should re-read the first one so I can follow the plot/characters in the second one! I have this problem with several series – do I need to re-read the first book to read the rest of them?? Seems kinda silly, but it always bothers me and keeps me from finishing a series!!! Not sure you wanted my advice, but I would re-read the first one. It’s so delightful, and there are a lot of characters to keep track of. I’d move to Mitford in a heart-beat. I think you can read each book as a stand alone. So, pick up the second one and enjoy. I love the Mitford series! The audio book version is great. I need pure but still quality escapism when I feel like the world is falling apart, so Harry Potter and A Wrinkle in Time are definitely up my alley. Reading depressing things (I haven’t read The Grapes of Wrath or Night since high school, but I remember them having a profound affect on me) are ones I would probably avoid at the moment. But perhaps that’s just me. I agree! 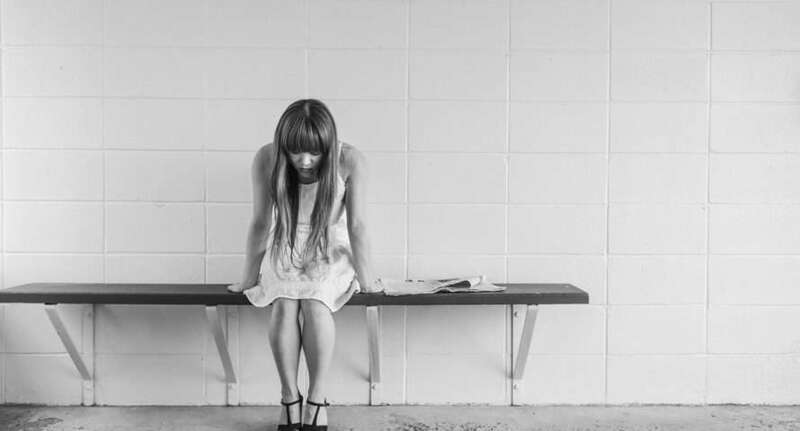 Some people like to read stories more heartbreaking than their current realities, helps them feel like their lives are quite as bad as they seem. Others (like me), need to read lighter, more uplifting stories that pull us up out of our holes. In the midst of some major heavy stuff going on in my life, I am currently reading “One Thousand Gifts” by Ann Voskamp. That book is doing it for me NOW! All I can say is WOW! I’ve many lines underlined or hightlighted. It’s speaking to me, LOUDLY, in a good way, touching all the deep places, shining light and bringing healing! me too. which is why i had to put down the nightingale, even though i know i will like it; it’s just too much right now. i’m much more in the mood for harry potter, mitford, and inspector gamache (even though murder mysteries, the characters are so likable; i find the books so comforting). I’d like to add All the Light We Cannot See by Anthony Doerr. 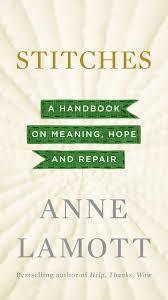 Anne, I so appreciate the fact that while you have listed books that may comfort, you also give some books that challenge. Thank you for your thoughtfulness, both in the podcast and on the site. Great suggestions! 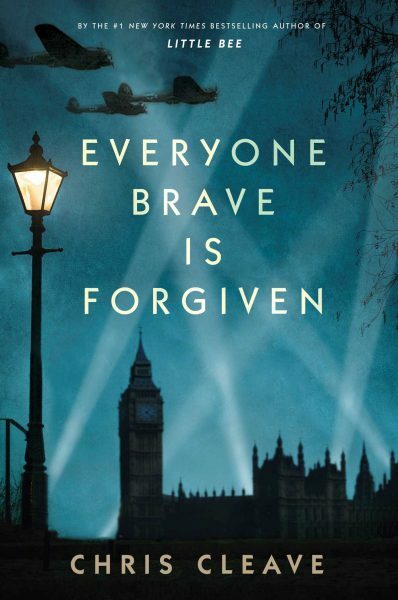 I recently finished “Everyone Brave is Forgiven” and just when I feel overwhelmed with the news, I remind myself that if Londoners could get through the Blitz, I can get through this time. Another series set during the Great Depression is Julia’s Hope, by Leisha Kelly.The family endures hardships, but keeps their faith and hope. Great list! I’ve read all but four and those are going on my TBR list. When I’m down in the dumps I often go on a reading slump, picking up books and putting them down a minute later. The books that wind up getting me through the slump have been gentle, easy reads – The Mitford series, The Number 1 Ladies Detective Series, and anything by Jane Austen. I want to be transported to a land with fewer problems, nice people and happy endings. And then I can go back to serious topics and once again, watch the news. Oh yes! The #1 Ladies Detective Society! Enjoyed that whole series immensely! Thanks for mentioning it on here! What a wonderful list, Anne. I’ve read many of these…love Harry Potter and A Wrinkle in Time, as well as Lord of the Rings and A Tree Grows in Brooklyn. 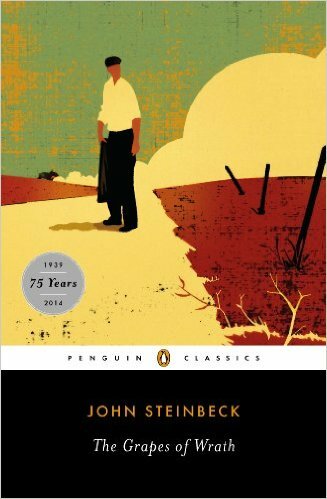 And just finished Grapes of Wrath for the first time…a beautiful and haunting novel. Another book that I have found timely is Erik Larson’s In the Garden of Beasts, about an American ambassador and his family in pre-WWII Germany at the rise of Hitler. I was struck by the subtle way evil can sneak into a culture, little by little, closing it off to seeing what it is doing before it is too late. Not uplifting, but perhaps timely. Thanks for this list. Thanks for mentioning Erik Larson’s In the Garden of Beasts – I was looking for a good book set in Germany to read as we’re heading there soon! Just added this to my list! 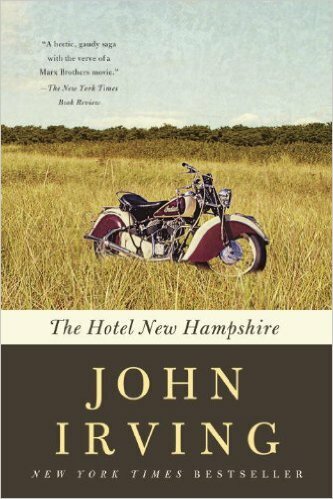 I have Hotel New Hampshire sitting on my bookshelf where it’s been waiting to be read. Love this list and that I can start with one of my favorite authors. I just finished Orphan Train by Christina Baker Kline, and I felt exactly this way about that book. So good! I loved it’s side by side narration between the 1930’s and 2009. We’ve come a great way, but there’s still a long way to go. I read Orphan Train a few months ago and I just loved it. I’ve been telling my grown daughters to read it – and I can’t believe they did that back then. I missed this part in history class – or they didn’t teach it! I have Everyone Brave is Forgiven sitting on my shelf waiting for its turn in my ever-changing queue. I feel like it’s a treat I’ll earn once I power through some other titles I feel like I “should” read first (or that need to be read first because of the library due date). For lighthearted escapist reads I’ll add Cold Comfort Farm and I Capture the Castle. This is a very thoughtfully compiled list. 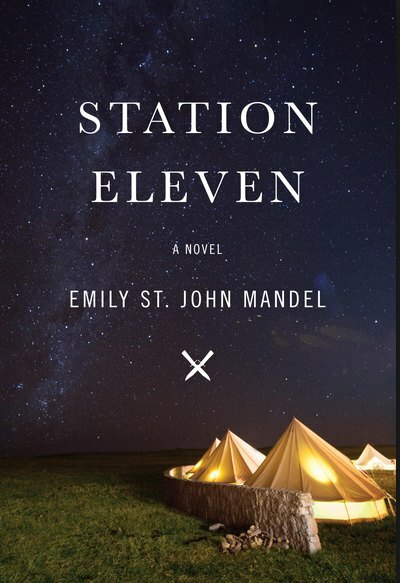 I like how many of the selections have withstood the test of time – which is testament to how well the authors approach the human experience in an uncertain world, and how readers across generations can still relate. Thanks for the perspective. I feel the same way when I read the news. We were already praying about the violence/ attacks in America and here in Mali (our current home.) When I found out about Nice, I felt like I collapsed inside. And then Turkey on top of that, with some of our friends trapped at the airport temporarily. But it is true that the world has seen other troubled times. I prefer to read things to escape reality at times like that. The kids and I are working though the Wrinkle in Time series on audiobook. I also like to read “cozy mysteries” as escape, current favorite is Donna Andrews. 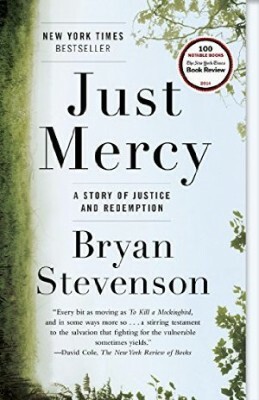 Just Mercy is our book club pick for August, and Between the World and Me and Half the Sky have just been bumped up on my TBR list. Reading has been one of the activities that still seems normal for me the past couple of weeks. Thanks for this list. I have a shelf of “old friends” – those books which I read time and again because I so enjoy them, for a variety of reasons. They are also largely the same set of books to which I turn for “comfort reading”. Some of been “old friends” for decades. Others snuck onto the shelf without my realizing it. 🙂 These titles are among the first that I either acquired upon getting my kindle, or for which I continue to anxiously await ebook availability, so that I can have them always with me, no matter where I roam. A few of the titles on your list are also on mine (A Wrinkle in Time, Anne of Green Gables, The Hiding Place, LOTR). Some of mine won’t appeal to others, while some of the titles listed above are anything BUT comforting or enjoyable for me! It is interesting how varied and different are the things in which each of us finds comfort. I love that you’ve mentioned All Things Great and Small! I am reading this now for the first time and am thoroughly enjoying it! This man writes in a way that makes you feel like you are right there with him and the other characters! I enjoy the humor in it too. Very good read! There’s a reason the BBC ended up making a show based on those books! I’ve enjoyed everything I’ve read by Mr. Herriot. Marvelous reads, all. As you can see, I didn’t notice and did the same thing! Ha ha! BTW, what is the BBC series called? Same title (the correct one)? Is it on Netflix, I wonder? I would love to watch it! Yes, the BBC series has the same name as the original book – All Creatures Great and Small. (Just in case you’re a Doctor Who fan, Peter Davison – the 5th Doctor, plays Tristan in the series!) If not streaming, I’ll be Netflix has it available on disk. 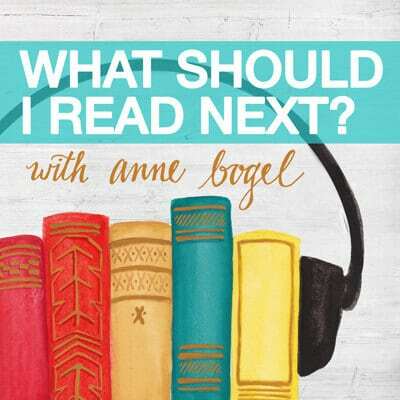 The audiobooks in this series are wonderful! Oh, thank you for that recommendation, Melanie! Unsurprisingly, there’s a long wait list at the library for the audiobook. 🙂 The sample is just lovely. I listened to the podcast where you recommended the Thursday Next series the morning after the EU referendum result. I read the first 4 over the following week and they were a fantastic escape from refreshing the guardian app. The only books where British politics is more surreal than the last month of reality! Anne, have you read Lilac Girls yet? I searched your blog for it before I started reading it, and saw that was one you were looking forward to in 2016. 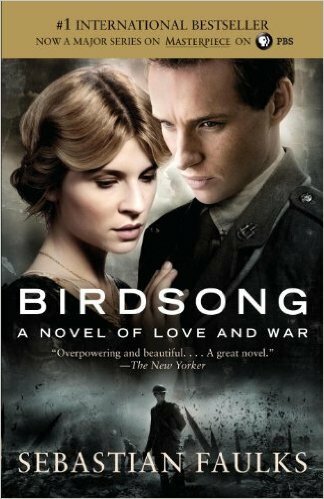 I’m reading it now – I’m about 40% through it (Kindle version from My Media Mall through my public library) – it’s very very good, and difficult to put down, but as is the case with many WWII books, hard to keep reading at times due to subject matter. Very well written and fabulous reviews on Amazon encouraged me to read it. No, but I’ve started it three different times. I may have to try the audio because I’ve heard the narration is fantastic. Oh Anne, I can’t wait to hear what you think about it (and I’m wondering how you could’ve put it down 3 times – no judgment, though!). I finished it on Saturday. 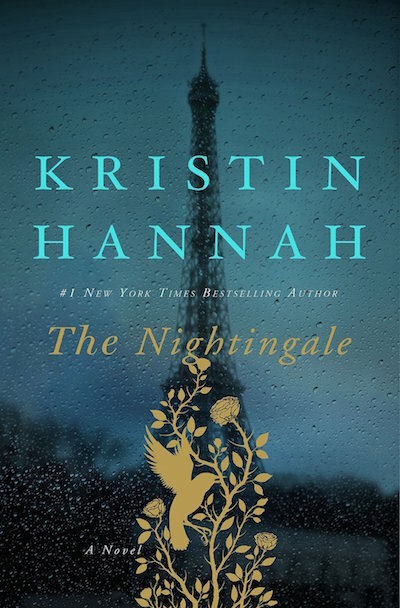 Now “The Nightingale” is ready for me from my library on Kindle – I’m wondering if it’s too much WW2 right in a row. Well, I’ll read a couple different books in between…. Great list and a good reminder that people have faced difficult times before. I’ve read some and will seek out some of the others. 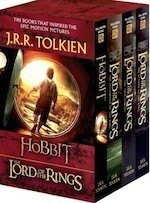 But the go-to for me will always be The Lord of the Rings. Tolkien was heavily influenced by his experiences in WWI and WWII and it gives the epic such power. Early in the story Frodo says he wishes he had never found the ring or lived to see such times. Gandalf’s response is timeless: “So do all who live to see such times, but that is not for them to decide. All we have to decide is what to do with the time that is given to us.” The story reminds us that good is worth fighting for even when it feels hopeless and that friendship, loyalty and acts of courage by even the least among us can turn the tide. It’s a good time to read it again. A timely list, Anne. And the exhibit you saw sounded really interesting. Glad you put Between the World and Me in there as well – Ta-Nehisi Coates is such a great writer. I plan on getting the audio version. There’s nothing like hearing a great author read their own work. Great list and great comments! I kind of want to stay in bed until I finish them all. When my heart is heavy, when my world around is in disarray, I tend to go with light reading or Christian non-fiction; something to remind me or return my focus to the One who has His hand on the chaos. All these titles (at least the ones I’ve read), except maybe Harry Potter, are heavy reading. Wow – my husband and I were just discussing this. We took a 20 hour road trip and listened to Bill Bryson’s One Summer. We had started the drive talking about how messed up the world is and then hearing about all of these things in the 1920s you realize Solomon was right…there is nothing new under the sun. There were crazy, horrible murders back then. Presidents who were truly awful in that capacity. Salacious media. Etc., etc., etc. A sad, but strangely reassuring, reminder that these things are not new and somehow life and society go on. You have put 3 of my life list favorites on here. 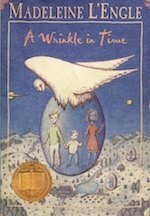 I have loved A Wrinkle in Time since my 6th grade teacher read it to us just before lunch. Still love fall thunderstorms to this day. The Lord of the Rings AND The Hobbit are so so good. I cried at the end when the ring bearers and elves leave Middle Earth. I felt that I had lost dear friends. The Hiding Place is very near and dear to my heart. Corrie ten Boom spoke at my high school graduation. I consider her a hero. The subject is comfort and others have mentioned very good titles, for me the very act of reading is comfort. When I am overwhelmed or sad or worried, I run away to the covers of a book. Oh, Anne! I’m late to this because I’ve been traveling, but this may be my favorite post of yours ever. Thank you for addressing the news we don’t always see in blogs, thank you for your insightful words, and thank you for this incredibly thoughtful list. Apparently, I only comment when I need to push Rosamund Pilcher and I do so here, as well. Shell Seekers and Coming Home offer compelling stories and a comforting read while dealing with tough times. My husband and I have been finding perspective and comfort similar to your art experience by watching the CNN documentaries on the Sixties, Seventies, and Eighties. Not only is it oddly comforting to know this chaos isn’t new, I’m amazed at the common themes and how current events are so tightly tied to the past. Thank you for this great list of suggested reads! I have read many listed here, and would like to also suggest adding, The Swan House by Elizabeth Musser. This historical fiction is based on the ripple effect within the Atlanta community surrounding the 1962 Orly Plane Crash, and it is a poignant and heartwarming snapshot of multi-faceted Atlanta during the Civil Rights Era. She has many other books, and once you read one of her books, you will want to read them all. Thank you Anne! What a perfect list for the difficult time we are in. Thank you for being sensitive enough to address. Some I have read and some I can’t wait to crack open! Books by Fannie Flagg (Daisy Fay and the Miracle Man, Welcome to the World Baby Girl, Fried Green Tomatoes a the Whistle Stop Cafe, etc). Many of her books have a sweet, poignant, and funny quality – so comforting when everything feels out of control. I was so happy when I saw that Anne of Green Gables was the first on this list! Thanks for tackling this subject. I’ve had a difficult couple of months and needed some uplifting/happy reads. Thanks for supplying! Nooooo! Not the Grapes of Wrath! While I, too, loved the colorful descriptions of America and Route 66 travelers during the Dust Bowl ear, I was so terribly disappointed in this book as a whole. I kept waiting for redemption, for hope: it never came. Yes, there’s a “tiniest glimmer of hope” at the end, but for me, it wasn’t enough. It took me a week to shake off the melancholy I felt at the end of the novel. Pingback: “There is always hope”. | notes "just so"
I think I’ve just found a was to categorize my “type” of book. This book list contains more of my favorites than any I’ve ever seen! Perhaps it’s because I’m prone to think the world is falling apart. 🙂 I haven’t reread “Anne of Green Gables” as an adult, or “The Grapes of Wrath”. Looks like I have some rereading to do! 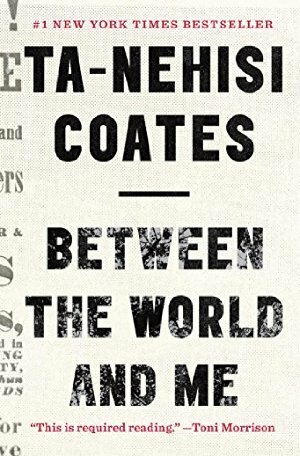 I have just finished listening to Between the World and Me. 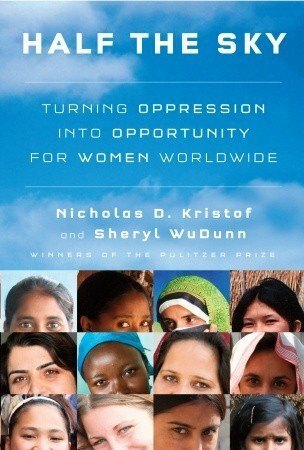 What an important and hearbreaking book! It’s another for my “every-American-must-read-this-book” list! It’s not an easy read, but so worthwhile. Some of my favorite books made this list! 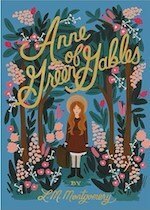 Anne of Green Gables is more of a feel-good, pick me up type of book in general. Gone With the Wind is one of my favorites. I loved the movie too, but it leaves out so many great scenes. Added Stitches and Half of a Yellow Sun to my holds list at the library. What a great post and reading list to go with it!! There are so many of my ‘comfort’ reads on here. Just finished reading The Nightingale and it was by far one of the most impactful books I’ve read. I just thought seeing WWII through the perspective of these women was both so beautiful and heartbreaking at the same time. But in contrast to some of these other reads, because of the parallels to some of the things happening today, it made me feel SO sad and discouraged that no matter how many of these tragic moments of history we go through we never seem to learn from them! ? Anything by Elizabeth Goudge, including the titles that sound like she wrote them for children. Thanks for the list. There are many of my favorite books on the list. 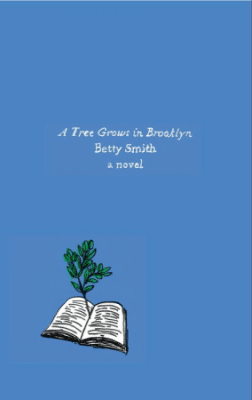 “A Tree Grows In Brooklyn” is a book I can relate to. I grew up in Brooklyn and there was one tree at the end of the row of houses. Needless to say we kids always gravitated to that tree in the summer to sit under the tree. I do not think the owners of that house appreciated us playing there a lot. As far as other soothing books, the “Emily” series,”Pat of Silver Bush” and “Marigold” all books by Lucy Maude Montgomery are worth reading. I am reading the “Elsie Dinsmore” series. I never read them in my youth. I enjoyed your list.Many of the books I have read are listed.The American Girl Books, any book with an Amish theme are a great comfort. I just finished “And The News Is” by Dana Perino,former press secretary to former President George W Bush. It is very interesting. I am now reading “Legends and Lies” The Real West by Bill O’Reilly. Great list of books. “A Tree Grows In Brooklyn” is a favortie of mine. I read it when I was in my teens. A neighbor asked me if my mothe rknew I reading that book, I guess he thought it was too old for me. I told him my mother lets me read any book I want. “Nancy Drew Mysteries is another good choice. When I was a little girl I would buy every new one that came out. I love anything Amish too. Have you read any books by D.E. Stevenson? The one I just finished is “Listening Valley” It is reprinted form long ago. “Ivanhoe”, “Lorna Doone” “Ramona” are some more good examples worth reading. I’m glad that you included Gone With the Wind. It’s true that there is a great deal of racism in the story, this is an unfortunate slice of life in the South at that time in history. If you pay attention when you’re reading it, though, certain black characters are wiser and understand the human heart better than any of the white characters (Specifically, Mammy and Dilcey). The love stories, the losses, the challenges and ultimate perseverance in GWTW make it a true, deserving classic. You are an amazing blogger – I found you through someone else’s tweet. THANK YOU for this post. Yes, I would be a different person – a sadder, meaner, grumpy person – without my books to turn to. And I turn to books every night, reading at least one a week. Your list is magnificent. 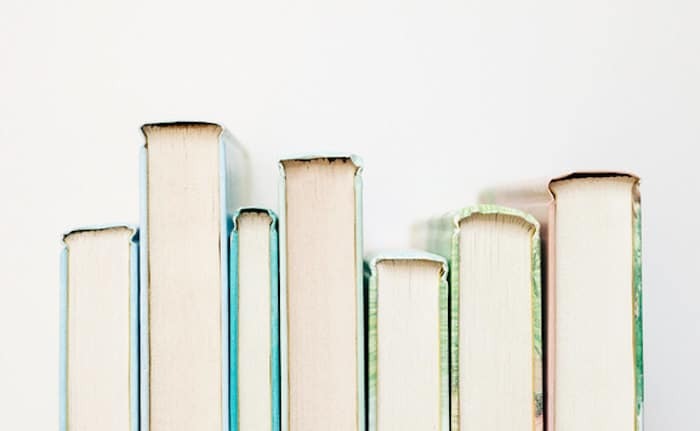 I’ve read a great many of them, but you’re encouraging me to return and reread some of them (like A Tree Grows in Brooklyn – that book began my love of reading at the age of 10). I’d recommend Madeleine L’Engle’s Journals even over her Wrinkle in Time series. The Summer of My Great Grandmother, and others, are astounding. When I’m really low (the news, a family member’s struggles) I turn to books like Harry Potter (reading the Children’s Curse play now) and escapism romantic suspense (which, I suppose, is why I chose to write and publish in this genre). Wiesel’s books are MUST READS for all; Hillenbrand’s Unbroken broke me into pieces, and I put myself back together a better person (I did NOT want to read this book – too long, too depressing, hate torture – but when I finished it the first thing I said was “This book has changed me forever.” That’s what books and art (like your experience in the Art Museum) and music are supposed to do for us. They let us escape into ourselves, and return to the world a better person. Would love to see a list of books that are more “cheerful” for when we feel like the world is falling apart! Funny, heartwarming, enthralling books that are really uplifting or have happy endings . . .
Great list! I like reading The Joy Luck Club when I feel my world has gone crazy. Oh, The Hiding Place.So many special memories associated with that book and subsequent movie. Corrie Ten Boom has long been one of my heroes. Thanks for your wonderful list of books!!!! !